This could be a headline for today, tomorrow, or from 83 years ago. It was the latter, following the magnitude 6.4 earthquake that hit the Long Beach, California region. Per Wikipedia, "An estimated $40M worth of property damage resulted, and between 115 and 120 people died. Many of these fatalities occurred as people ran out of buildings and were hit by falling debris." That paled, though, in comparison to the magnitude 7.8 San Francisco earthquake in 1906, where massive destruction occurred and upwards of 3,000 people died. As usual, radio amateurs were some of the first emergency responders on the scene, setting up essential communications centers to assist with search and rescue operations. The Federal Radio Commissions (FRC), precursor to the FCC, issued a note of appreciation. The Commission takes pleasure in informing you that it has received information commending the amateurs of Southern California for the splendid work done by them in handling communications in the recent earthquake area. The names of the individual licensees who cooperated in this work are not known to the Commission. However, it is known that amateurs have always rendered every possible assistance during times of such emergencies, and it is hardly necessary to add that the Commission believes such service to be of the highest order of importance. It will be appreciated if you will express through the medium of the American Radio Relay League the Commission's appreciation of the prompt and efficient action which was taken by amateur licensees in bringing aid to the stricken area. Characteristic of Long Beach's Demolition is this view of ruins near where an amateur emergency station was set up. Ten minutes after the California earthquake an amateur station was on the air, telling the world. Through the night, other amateurs emerged painfully from the wreckage, salvaged parts and tubes and power-supply facilities sufficient to get their stations back on the air again. Aid was offered the civic and military authorities in control of the situation; personal messages to relatives and friends of earthquake survivors commenced to trickle in; an avid press pleaded for information. The amateur emergency work of the Southern California earthquake on March 10th began in grim, actual earnest. Six hours elapsed before any vestige of wire line service was through to Long Beach, center of the stricken area. It was four hours before broadcast station KFOX regained the air, the roof having fallen in the dynamo room. 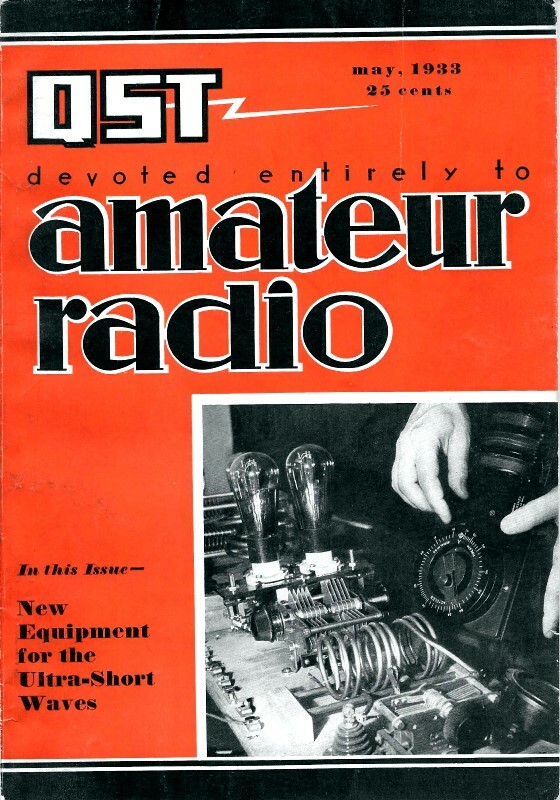 During this time amateur radio was the sole means of announcement and communication, and during the week following, when wire lines could not handle any appreciable percentage of the traffic, amateurs stepped to the fore as a communication system second to none in usefulness and efficiency. The first official messages to be transmitted were from Mayor Harris of Long Beach and Mayor Porter of Los Angeles to the Adjutant-General of the state, requesting aid and reporting the loss of many lives. These were QST'ed by Francis M. Sarver, W6AOR, of Los Angeles, and by stations in the Long Beach and San Diego areas. A later message was addressed to Army officials at Washington, via WAR, requesting that the military at San Diego and surrounding points be instructed to operate in the emergency zone. 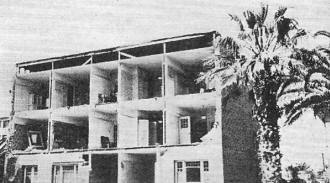 When they did take over control, Major Albert M. Jones, head of the intelligence department of the 9th Corps Area, invoked the aid of amateur radio in handling his branch of the work, with schedules between Long Beach and San Pedro. A five-station net centering on W6GSR in Long Beach was for a considerable time the only means of communication with the Navy Yard at San Pedro, the National Guard headquarters there, and the governor's office and state motor patrol officers at Sacramento. George F. Moynahan, Jr., W6AXT, was the Sacramento station, with C. N. Fisher, W6FFN, Covina, W6ETV, San Pedro, and Vernal Routh, W6CJQ, Los Angeles, as relay points. Messages were handled for Governor Rolph and Lt. Governor Frank Merriam. W6GSR was put out of commission by a severe shock at midnight, but was back on the air within an hour with a hastily rigged small portable set. Edward Seeley, W6GXS, is shown at the operating position, while M. J. Campbell, W6UY, takes down messages from earthquake survivors via the emergency telephone line. 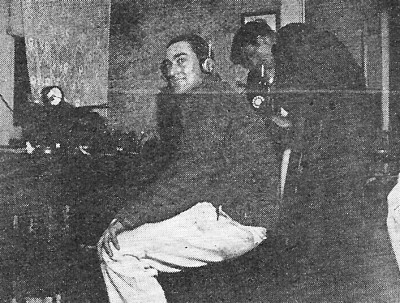 Al Martin, Jr., W6BYF, one of the first stations on the air in Long Beach after the first heavy tremors, handled official traffic exclusively from his installation at American Legion hall, where he was assisted by half a dozen operators. Great quantities of supplies, equipment and personnel were secured through this station. KFOX, the Long Beach broadcasting station, which late in the evening began operating from an emergency booth in the Bail Bond office opposite City Hall, was overwhelmed with requests to broadcast messages reassuring relatives and friends of the safety of families and individuals, and turned this traffic over to amateur stations, as well as making announcements of the A.R.R.L. service. The bulk of the traffic received through this source was handled by W6BVD, assisted by W6BXI, W6UY, W6BQP and W6GXS. The biggest difficulty lay in the fact that the telephone at W6BVD was out of order along with hundreds of others, but after a conference with the manager of the telephone company an emergency line was rigged in less than an hour, and messages poured in along it in a steady stream. In Los Angeles, where the damage was not nearly as great, nearly every active amateur in the city was to be found on watch. A big part of the relief traffic was with battleships lying off the California coast, whose officers and men had families ashore in the stricken cities. KFI, of Los Angeles, du­plicated to some extent the work of KFOX in broadcasting information concerning the condition of individual families, but here again amateur radio service was considerably more effective. The Los Angeles Police Department through municipal police radio station KGPL broadcast an urgent request for the erection of an amateur 'phone station at Los Angeles Patriotic Hall. Amateurs Nikirk, Cook and Strople of Pasadena responded and got W6BZC on the air, operating for 30 hours continuously. On the morning of March 13th, KFI broadcast a call for four amateur operators with portable receiving and transmitting equipment - and probably got them, although no further details are available. Martin Corcoran, W6GOY, Artesia, W6GWX, South Pasadena, and stations in San Diego, Whittier, Santa Ana, San Clemente and La Jolla handled more than 500 messages for the American Red Cross, American Legion, Los Angeles General Hospital, Salvation Army, County Welfare units and the California Highway Patrol. When W6GOY at Artesia announced, "Boy, that was quite a shake!" the operators at W6BZC, in Los Angeles, waited three seconds before feeling the tremor. The 1.7- and 4-mc. 'phone men did Herculean work, handling traffic to all sections of the country and broadcasting general information. The 1. 7 -mc. men, particularly, were the best organized of those active in any band during the early part of the evening; all those in the earthquake area that had workable stations were on. QRM was a problem in the 75- meter band, but a group of stations including W6CNE, W6EZY, W8DLD, W9FLT, W8WI, W8AOE, W1CWH, W2GO, W2HY and W9MM helped to clear the band for the emergency traffic. One young schoolboy with a simple self-excited transmitter on 1750-kc. and a brand-new "H" license (we can't determine the rest of the call) hooked a microphone and loop around his tank coil and did some of the best of the early work for the authorities. In emergencies all methods are justified! Although his home and station were close to the beach and terrifying rumors of tidal waves were circulating, he didn't run out and hit for the hills, but stayed at his post. Many other amateurs with comparatively little experience did splendid work, proving that the race is to the willing, not to the swift, in times like these. The number of stations actually contributing to amateur radio's public service record in this emergency reaches into the hundreds; there were dozens in the primary earthquake area alone. We mention, briefly, but with due regard for the importance of their work, the following: W. A. Adams, W6ANN, Long Beach, who handled hundreds of personal messages, delivering much of his traffic direct on 14 mc. Vernon Keays, W6GRH, Huntington Park, who was on the air by 8:05 p.m. and handled traffic until 10 a.m., hanging onto receiver and transmitter with both hands in involuntary QSK during shocks - as did most of the other stations in the area; WLVR, WLVG, WLVE - both the Army and Navy nets displayed wonderful organization; Ludwig A. Hedstrom, W6CIZ, Oakland; who kept continuous watch on 7 mc. for three days, along with A. W. Fuller, W6AF, Oakland; Ed. Stevens, W7BB, Seattle, who took 1500 words of press to an AP direct wire and handled 300 messages in 48 hours' continuous watch. W6CIU, W6HBF, W6FQY, W6FDE, W6LN, W6FYN, W6CMT, W6BTZ, W6EGJ, W6FWJ, W6AEP, W6EPW, W6AXQ, W6FEP, W6CJQ, W6HFP, W6MK, W6DEP and W6AM all deserve praise for splendid work, which we unfortunately do not have space to recount, even had we the details. Nor does this exhaust the list of active stations; it merely includes those concerning whose activities we have received reports. The calls of many other participating stations will be found in the Communications Department sectional reports this issue. W6EQW had two messages for people here but had to deliver them at "Missing Persons Bureau." Dwight B. Williams, W6RO, transmitted a graphic "running" description of the 'quake to Ed. Stevens, W7BB, which was used verbatim by the Seattle Daily Times. The Boston Post got much the same story from Williams through George W. Bailey, W1KH, who stayed with him until a major shock forced W6RO off the air. Forrest P. Wallace, W9CRT, announcer at WMAQ in Chicago, LeRoy Moffett, W9IJ, engineer at WENR, Chicago, and B. G. Swift of NBC's Chicago musical department, with the aid of W9VS of Oak Park, furnished all news of the earthquake that was broadcast over the NBC network, from the reports sent by amateurs in the area. Route Manager Wallace appealed to amateurs over the network to refrain from using their transmitters unless in actual contact with the coast - a new method of amateur control. It was Wallace who, after a QSO with a Los Angeles station the Sunday following the disaster, reported the ardent Californian as ending his description of the 'quake with the words, "But the climate is still fine. Come on out ... !" Evidence of the prestige of amateur radio in time of emergency is the experience of Edward D. Seeley, W6GXS, on his way from Los Angeles to Long Beach. He was halted not less than six times at police lines where sightseers were turned back, but each time, upon displaying his A.R.R.L. emblem and operator's ticket, he was permitted to pass. Not only did amateurs handle thousands of messages of reassurance to relatives and friends from survivors, but in a number of instances they secured latest casualty lists from the stricken region and checked these lists for the names of individuals. Newspapers secured information on California visitors and relatives for entire cities in this way. There is only one really dark spot on the record of public service in this emergency, and that is the attitude of one or two 4-mc. 'phone men in the south and middle west, who were callously selfish in their refusal to stand by and cooperate, and the W6 who deliberately and boastfully QRMed some of the most important traffic handled by W6AOR. But on the other hand there was the excellent cooperative spirit displayed by many of the 7- and 14-mc. DX men who, while anxious to pile up good scores in the international tests, turned wholeheartedly instead to the relaying of the relief traffic which flooded the traffic lanes of the nation. Here's hoping their scores did not suffer too greatly as a result of their fine public-spiritedness. The California 'earthquake was a marvelous opportunity for amateur radio, and the amateurs of Southern California and the rest of the country responded nobly. Their performance will clinch even more firmly in the mind of the nation the conviction that amateur radio is an essential and indispensable asset to modern civilization. * W1CBD, Assistant to the Secretary, A.R.R.L.